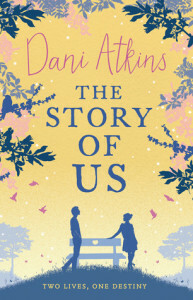 Dani Atkins’s book The Story of Us, is billed as “women’s fiction” (a category title I loathe) with romantic and suspense elements. 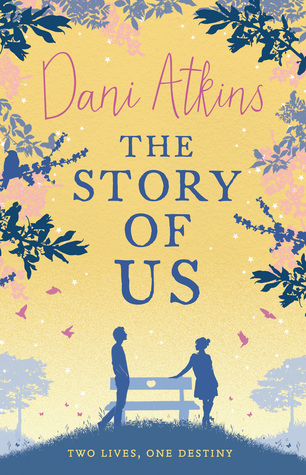 The back copy is compelling; one week away from her wedding to Richard, Emma meets Jack and her world is upended. In the first chapter, we discover that Emma is on her hen party (read: bachelorette party) when she and her two best friends decide to drive home. Tragedy strikes in the form of a car accident, where two of them are injured and one looses her life. Jack enters the story here. An American novelist renting cabin nearby for a writing retreat, Jack happens upon the ladies trapped in the wrecked car and aids in getting them to safety and to the hospital. In normal life, you’d expect the bloke to scupper off after that. Instead, Jack keeps showing up. Emma, in her narration, informs us she finds this compelling and she’s drawn to the stranger. I, as the reader, kept wondering why his behavior didn’t alarm her. The first half of the book gripped me – as we got more in the nitty gritty of her choosing between the two men, I wasn’t as interested. This is not only because I didn’t fall for Jack at all and found him odd and creepy, but because Richard seemed to me the clear and away choice. Emma’s angst, therefore, was just meh to me. Overall, this book was, for me, fine, but not amazing. Instead of understanding how torn she was between the two men, I found myself being annoyed at her. I can’t imagine having the emotional trauma this character goes through, but I just couldn’t buy that people wouldn’t be mad at her for making the choices she does. If this book had remained about a woman grieving the death of her best friend, I would have enjoyed it so much more. The romantic element was not the best. I’d recommend this one is enjoyed with a cup of tea to match the English setting – Suki’s Belfast Brew is my suggestion. Healing From Trauma:: in light of Emma’s accident and it’s repercussions, she probably should have picked this up. How The Body Keeps Score:: another book on trauma, highly recommended for anyone who has experienced personal trauma or loves someone who does. Cottage rentals in the Cotswolds:: not the exact location, but the gist is the same if Jack’s writing retreat inspires you!